Have your next meal delivered! 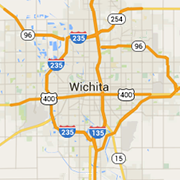 Check out these Wichita delivery restaurants for food brought to your door. Voted Best Pizza in Wichita for seven years, with four locations serving up fresh NYC and CHI style crusts, sandwiches, appetizers and more. We R Freedom from corporate pizza!